For Android users, we are here with a method to remotely control one Android with another. This method can be done using some best apps that will provide you the remote access of another Android. Go through the full article to know about it. Today million of people are utilizing an Android device. Now if we talk about remote control access, yes you can easily control one Android device with another using some cool apps that we are going to discuss here. With this remote control access, you can solve problems of your friends, relatives and employees etc by just remotely accessing their device from yours. So have a look at the complete guide below to control another Android device with yours. This method can be done using some best apps that will provide you the remote access to another Android and you can have the complete privilege to access all the service of that Android. So have a look on these Best remote control Access Apps below. As many of you might be familiar with this name as its the one of the best apps for accessing another PC from one and similarly its Android version helps you to control one Android from another. The user interface of this app is cool and you need user ID and Password of another Android to have complete access to it using this app. This is also a good app by using which you can control another Android device from yours. In this app, you can fix out many problems with any another Android using your Android device. Also, this app is perfect for any job holders or team discussions. This is very popular apps that help you to control another Android device using your one. This is a remote control app, which allows you to control Android devices with any other Android phone, PC or Mac. The app is currently in a beta state, that means it is buggy and might not work with all devices. The app is mainly developed for remote control of Android TV sticks but it works well with a wide range of Android smartphones and tablets. ScreenShare enables wireless sharing of videos, music, photos, web pages and many types of documents from your phone to your tablet. This app is available for free in order to serve as a reference implementation for Spring Design and its parent company’s patents with multi-screens applications. ScreenShare organizer can let you share and play your phone contents. With ScreenShare Browser, you don’t have to be in a range of a Wi-Fi signal to get your tablet online. This is a full release and has no ads. This is another best app to have access to other Android device or say VNC server. This app provides lots of features like Import/export settings, save connection information, zoom control, keyboard and mouse control, connect to any machine running a VNC server and lots more which you will get to know after using this app. Connects to most VNC servers: including TightVNC, RealVNC on Win and Linux, x11vnc, and Apple Remote Desktop on OS/X. Lots of customizable features let you adapt the way your device controls map to the controls of your desktop. Tablet Remote lets you control an Android tablet or phone with another Android device. You can send common input like “Back”, “Home”, “Menu” or “Search” to the tablet, control its volume and brightness and also type words. You can navigate on the other device like a DPad and send the special command like “Play”, “Next” or “Previous” which is very useful when watching a movie. You can play games that support key input with the gamepad like most Xperia Play compatible games. Command like “Play”, “Next” or “Previous” which is very useful when watching a movie. Control PC, Control Another Android phone/tablet(Beta). WIFI & Bluetooth are supported. Windows, Linux, and Mac are supported. Remote File Manager: Browse your files remotely and open them on your computer or Android device. 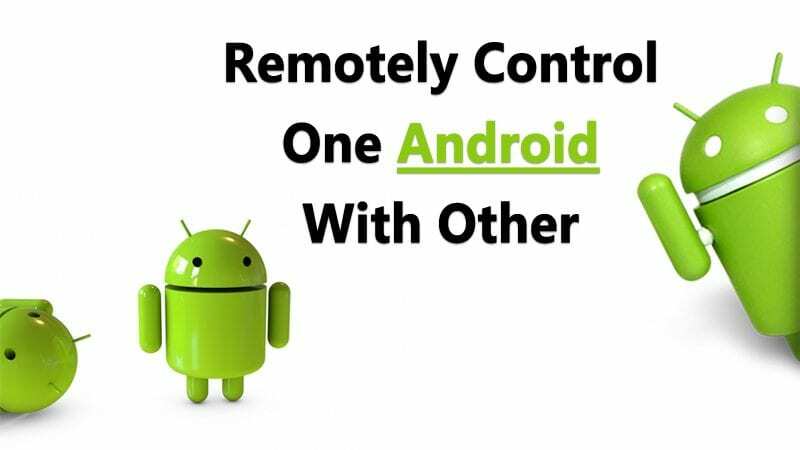 Use your Android device to remote control another Android/PC device through Bluetooth or WiFi/Network. You can use your Android phone as a wireless keyboard/mouse/touchscreen or redirect physical keyboard/mouse/controller to the target device. ScreenShare enables wireless sharing of videos, music, photos, web pages and many types of documents from your phone to your tablet. The screenshare organizer can let you share and play your phone contents (photos, videos, music, documents, etc.) to your tablet or TV (via HDMI cable) and export your phone contents to your tablet storage. SMS & Call on your PC or Mac or Tablet in Perfect Sync with Any Android mobile. This app is for Samsung user. SideSync is a new PC-Mobile solution that enables screens, windows, and data to be shared easily. Share between a PC and a Galaxy smartphone, or between a Galaxy Tab and Galaxy smartphone. You can receive your device’s notifications on the Dashboard in real-time. Developer: Remote control,Support, Assist and Remote Desktop. This is a remote control app, which allows you to share your screen or control other Android devices. You can now receive technical remote support for your mobile devices. It lets you easily share your screen with another Android user. Once connected, you can optionally start a voice chat, and draw on their screen to guide them through their issue. ApowerMirror is another best Android app that works on the local network. The best thing about ApowerMirror is that it allows users to mirror your Android screen to other mobile devices running Android, iOS, Windows etc. But, the ability to control devices goes missing during the mirroring. However, it allows users to control Android devices through the computers using a mouse and keyboard. This is another best Android app which allows users to share their Android screen or control other Android devices. The app comes with some other benefits also as you can also start a voice chat, draw on their screen etc. So, Screen Share – oneAssistant is one of the best Android apps which you can use to remotely control other Android devices. The app got the option to start a voice chat.